Dr. Donald Fong is a radiologist in San Francisco, California. He has been practicing medicine for 47 years. Dr. Fong graduated from University of California San Francisco and continued with an internship at the University of California Davis followed by two residency stages in radiology at the NYU School of Medicine. Dr. Donald Fong is a board-certified specialist in diagnostic radiology. He published a study that focused on diabetic macular edema and Glitazone use. 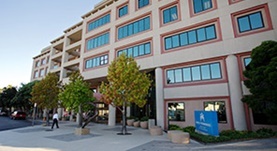 At the moment, he is affiliated with the Kaiser Permanente San Francisco Medical Center. Dr. Donald Fong has contributed to 1 publications. Glitazone use associated with diabetic macular edema. Fong, D. S.,Contreras, R.; Am. J. Ophthalmol.. 2009 Feb 03.